Before teaching my unit on prenatal care, I like to find out what my students already know about the subject. Sometimes a great way to do this is to have an all out brainstorm, discussion type of session prior to getting into individual lesson topics. This activity gets students thinking about the positive and negative consequences of choices that need to be considered while pregnant. Not only does this activity get students thinking, but it allows for them to discuss their ideas as well. 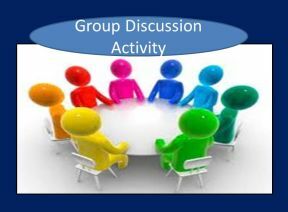 The discussions can be in partners, small groups or as a whole class. Students can be given a participation grade based on the oral sharing of their ideas. In order to receive their points, they must share aloud. This gets those shy, quiet students you never hear from involved. Introduce the brainstorm activity and have students individually think of the consequences associated with choices that need to be considered during pregnancy. I even give them a chance to add additional ideas, which can be interesting to see what they think of. After sufficient brainstorming time, have students begin sharing. You can decide how you want to do this based on your class size and time frame. I like to give participation points based on students’ oral sharing. Bottom line…students must speak aloud, sharing some of their ideas in order to receive a grade. No sharing equals no points. Period. After hearing their ideas, I then decide how much time to spend on each topic relating to prenatal care. ← Time to BAKE the Doughnuts!